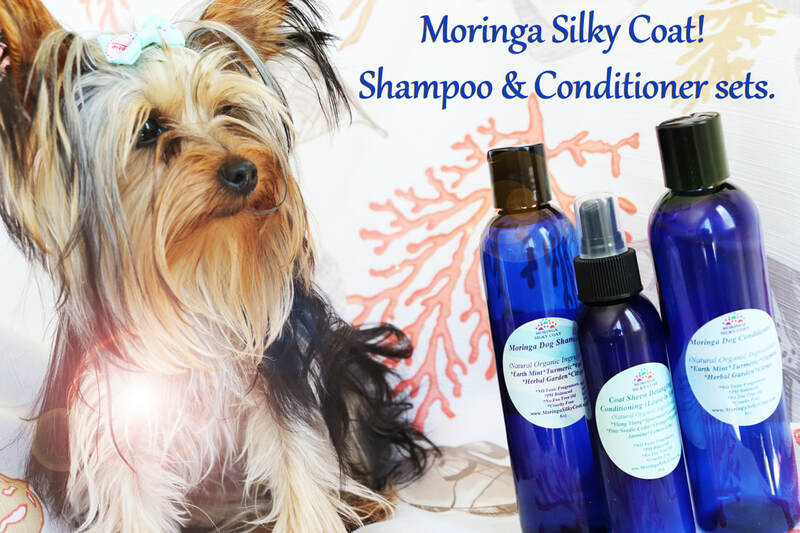 Moringa Silky Coat Natural Dog Grooming Products! 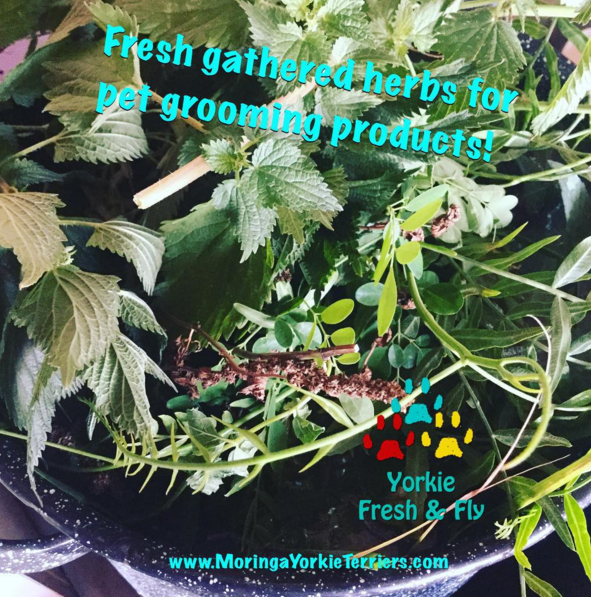 Moringa Yorkie Fresh & Fly Natural Organic Grooming products! Moringa Yorkie Shampoo, Yorkie Hair Care Bath & Body Products. Keeping your little fur baby clean & fresh naturally. Our grooming products are for all types of coats. 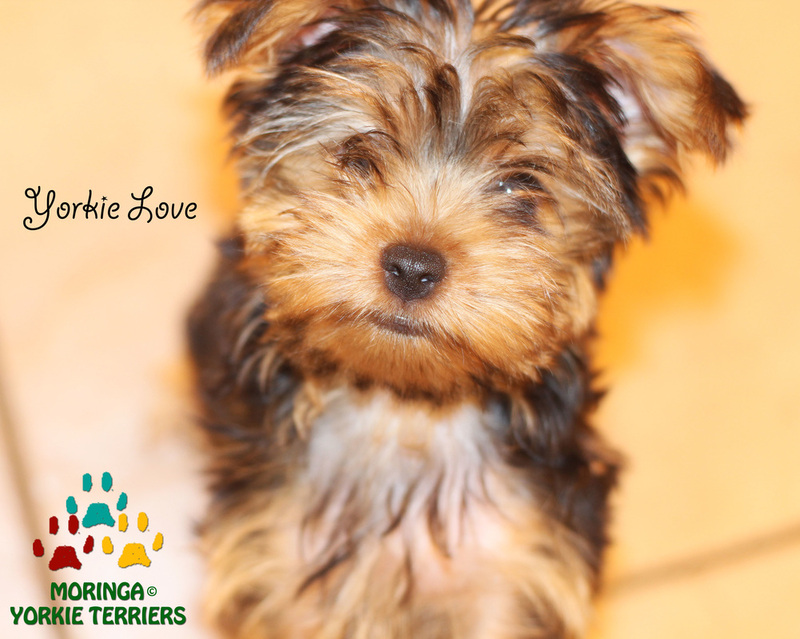 Works well on Silky Terriers, Poodles, Bichons and Shih Tzus, and other dog breeds providing professional results. 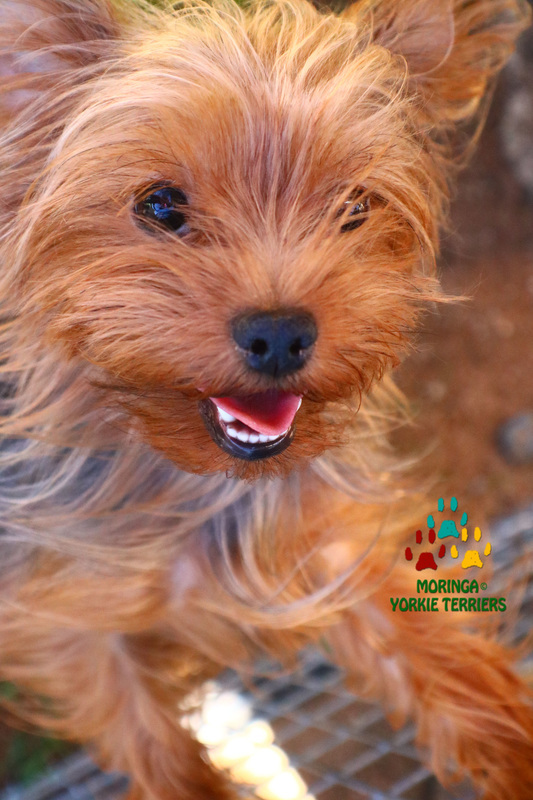 Help manage your Yorkie coats with our vegan products, made with all natural and organic ingredients enhanced with herbs & Moringa Oleifera extracts. That will not strip or over dry your dogs hair & skin, Ph balanced. 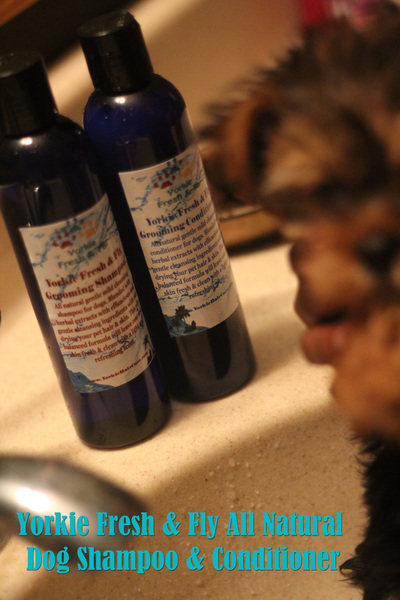 Our Yorkie Grooming Products Make Great Gifts! Organic Dog Shampoo made with beneficial essential oils, Moringa extract, Maintains Beneficial Coat Oils for Normal or Dry and Itchy Skin..100% Natural *NO Preservative, Fragrance, and Dye free! *NO Tea Tree Oil*Naturally Flea & Bug Repellent. *Totally Organic & natural ingredients pet care. Gentle and safe for puppies.Great for dry itchy, flaky or sensitive. 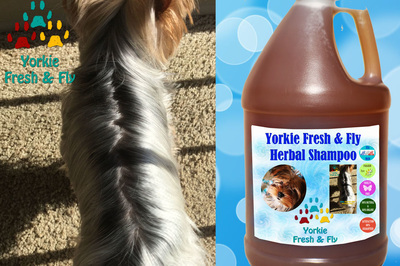 Yorkie Fresh & Fly Shampoo & Conditioner Grooming 5pc Set ! MORINGA COAT: Fresh & Fly Shampoo & Conditioner Grooming Set! 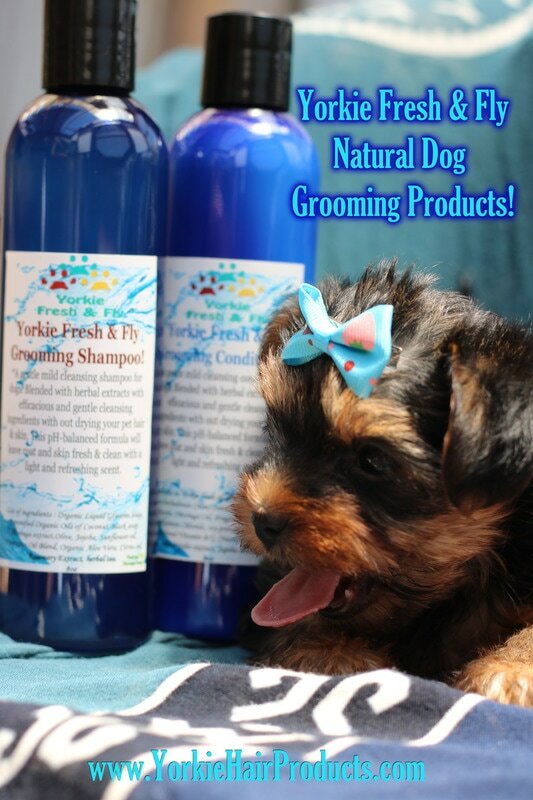 Yorkie Fresh & Fly Shampoo & Conditioner Grooming 3pc Set ! Yorkie Fresh & Fly Grooming Shampoo & Conditioner 2pc set! 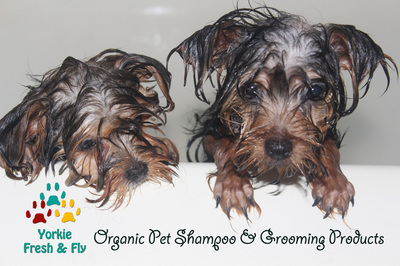 All Natural gentle shampoo & conditioner for dogs. 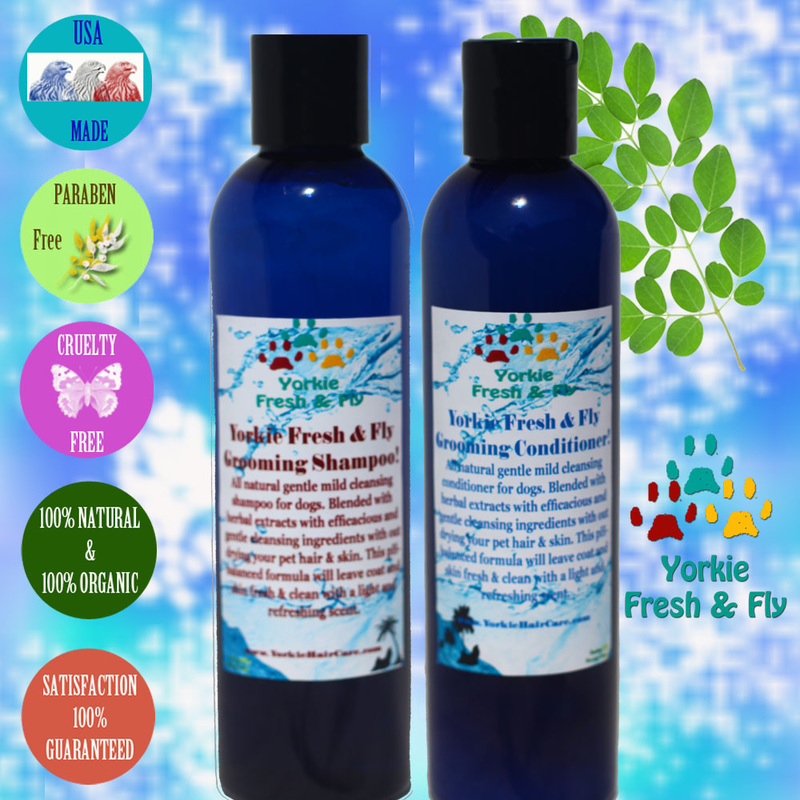 Yorkie Fresh & Fly Grooming Shampoo 1-Gallon Bulk Size! All Natural gentle mild Cleansing shampoo for dogs. helps with mange and other skin rashes. 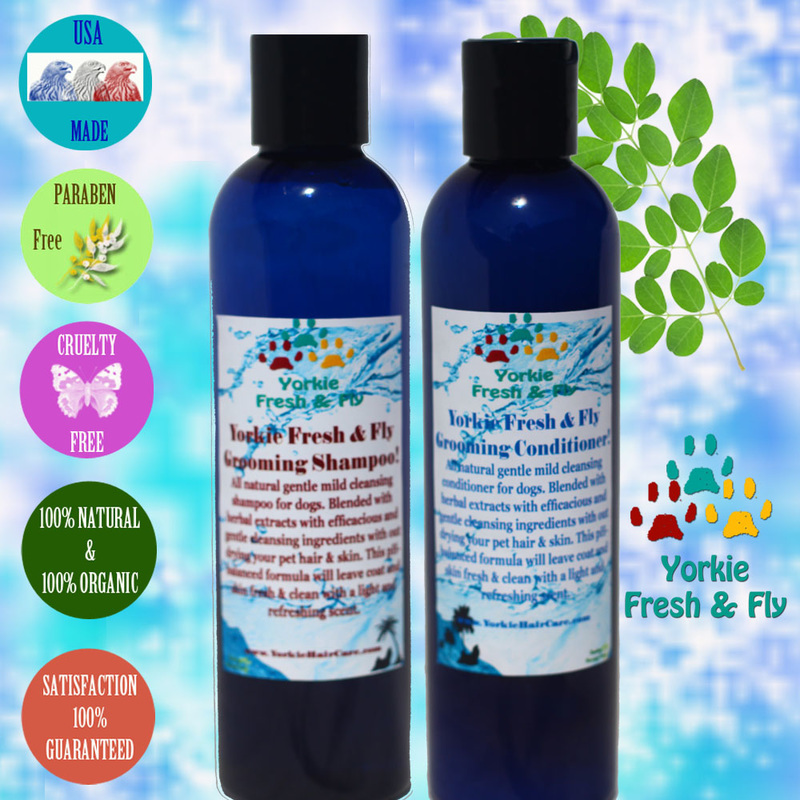 Yorkie Fresh & Fly Grooming Shampoo! 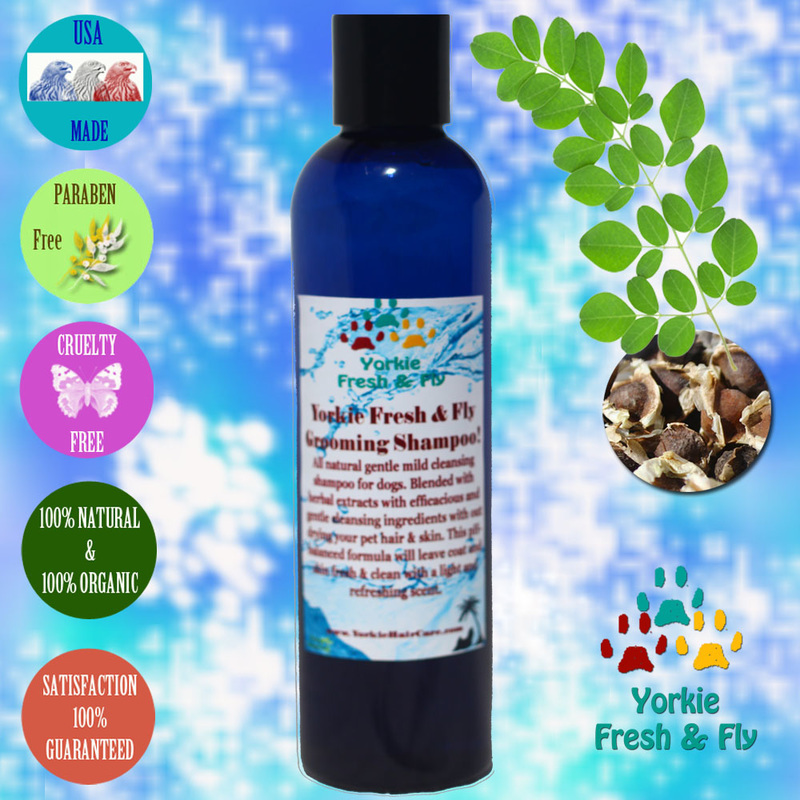 *List of ingredients in Yorkie Fresh and Fly : Organic Liquid Glycerin Soap, Saponified Organic Oils of Coconut,Black soap, Moringa extract,Olive, Jojoba, Sunflower oil, Fragrance Oil Blend, Organic Aloe Vera, Citrus oil, Rosemary Extract, Herbal tea. 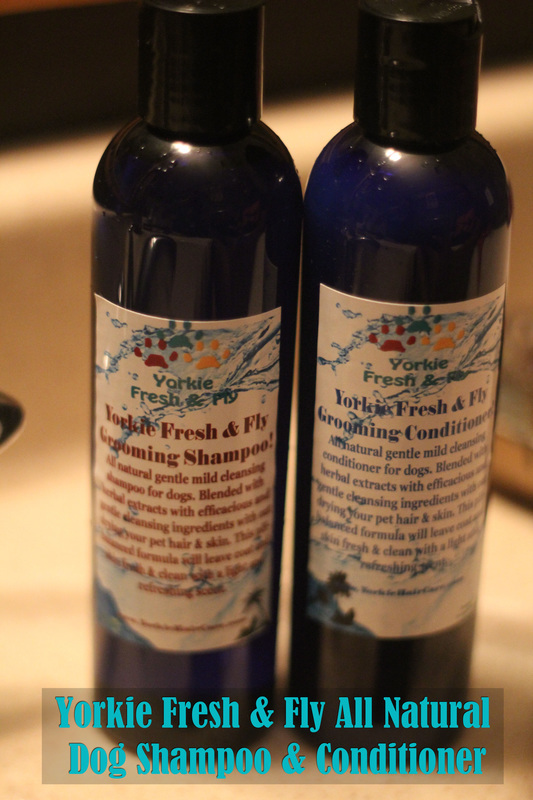 Yorkie Fresh & Fly Grooming Conditioner! 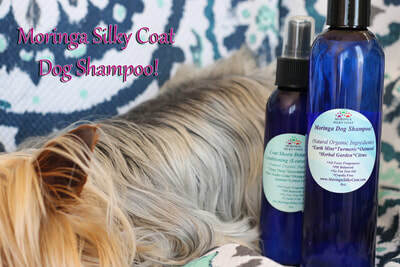 A all Natural gentle conditioner for dogs. 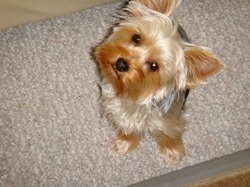 Yorkie fresh & Fly Coat Sheen Detangling Spray! 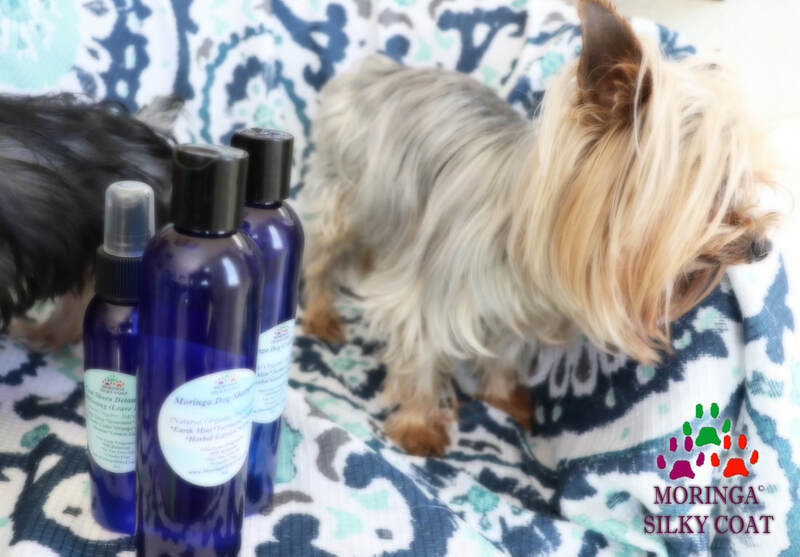 Moisturize hair and manage your Fur babies tangles with our conditioning detangling spray. All natural vegan coat mist that moisturizes dogs skin and detangles coat. Along with adding natural sheen. 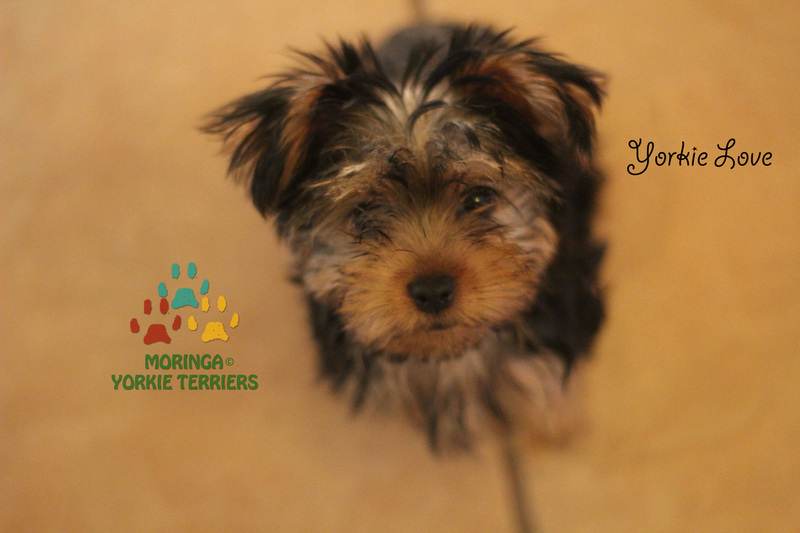 It can be used as a daily brushing aid or as a freshener sprits between baths leaving your puppy feeling and smelling fabulous. 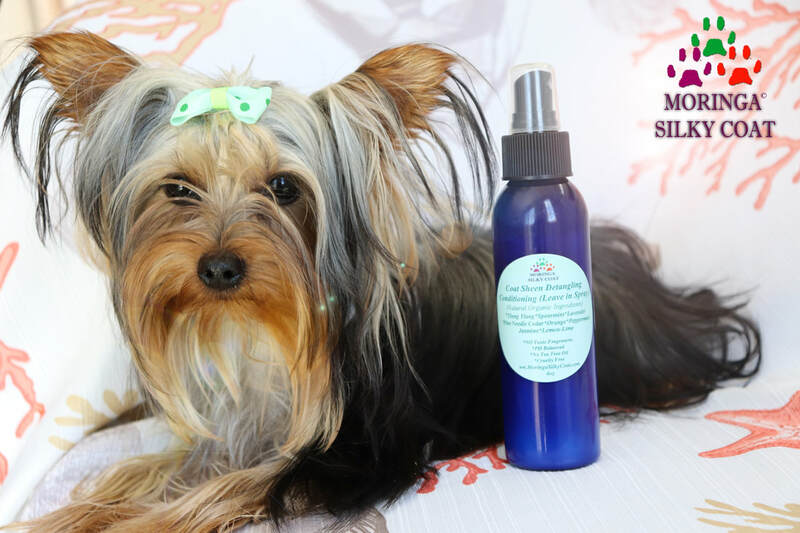 Yorkie Fresh & Fly Herbal Flea & Bug Repellent Spray! Yorkie Fresh & Fly Herbal Flea & Bug Repellent Spray! Conditions Coat & Deodorizes. Organic Flea & Tick Repellent Protecting Dogs from fleas & ticks without Toxins & Chemical pesticide treatments. Relive dry itchy skin & and softens the fur while keeping bugs & Fleas away. Yorkie Fresh and Fly Paw Wax Balm! Yorkie Fresh & Fly Vegan Shampoo Bars! Our soaps are made with real plants, high amounts of quality Moringa leaves, Moringa oil and extracts, along with organic fresh herbs that we grow on our urban homestead farm. *For Face & Body, Handmade Moringa LUSH soaps, that Made with Organic & Natural ingredients,formulated to nourish and clean dogs hair and skin. *Ingredients: Organic Moringa leaves, Moringa extract, silver water,essential oils, Herb leaves, fresh plants, organic herbal tea,Coconut Oil, Palm Oil, Safflower Oil, Glycerin (kosher, of vegetable origin), Aqua/Water/Eau, Sodium Hydroxide (saponifying agent), Sorbitol (moisturizer), Sorbitan oleate (emulsifier), Oat Protein. 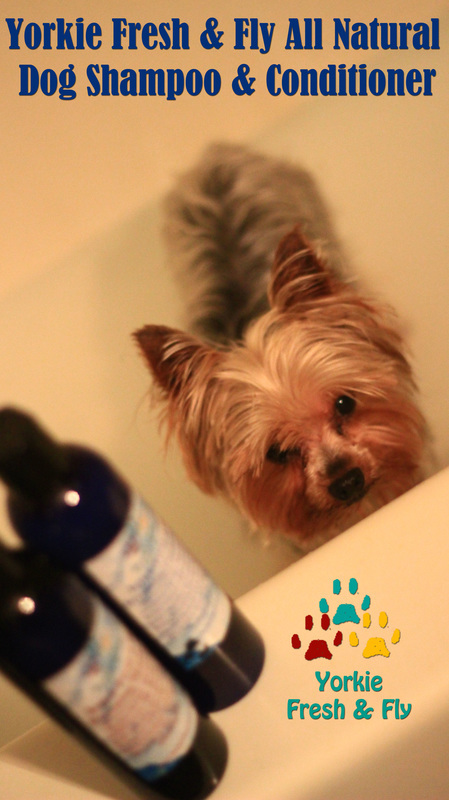 Yorkie Fresh & Fly Dog Shampoo Bars! Give your doggy a great shampoo bath with these amazing shampoo brushes. OFFICIAL DISCLAIMER: The safe and proper use of essential oils and aromatherapy formulas is the sole responsibility of the user. 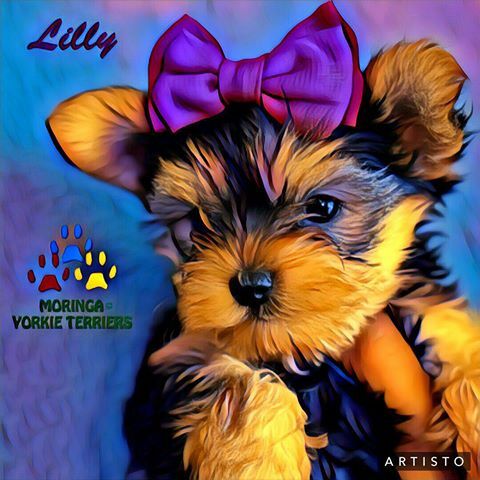 The Yorkie fresh & Fly grooming products assume no responsibility or liability for any persons’ misuse, carelessness, allergic reaction, or any other conditions arising directly or indirectly from use. Copyright © 2016 ~ All Rights Reserved. 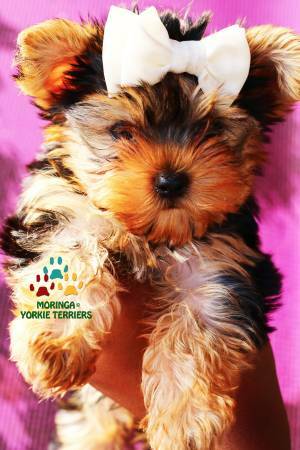 ​Apple Valley CA, High Desert Ca, California Yorkshire terriers, toy dog, grooming products.